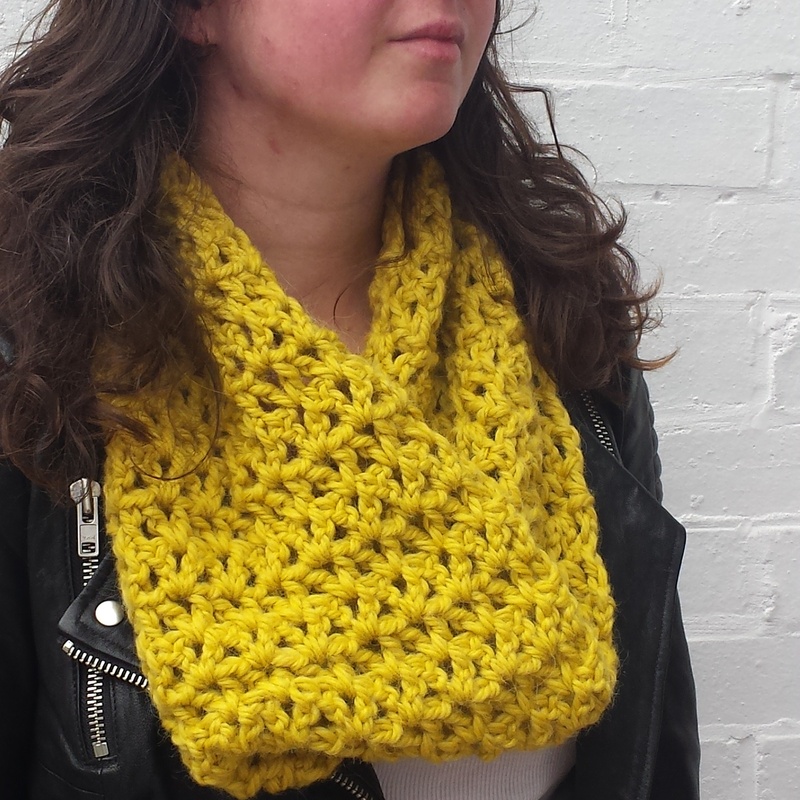 The Ru Mobius scarf – Great for beginners! Row 1: In the 5th chain from hook dc, ch1,dc, *skip 2ch and dc,ch1,dc in next chain* repeat between *’s across, dc in the last ch. Row 2- 37 : Ch3, in the ch1 spaces work dc, ch1, dc, dc in the last stitch. To make up: Create a twist in the scarf and either sew or sc together. Sew in ends and wear with a smile.